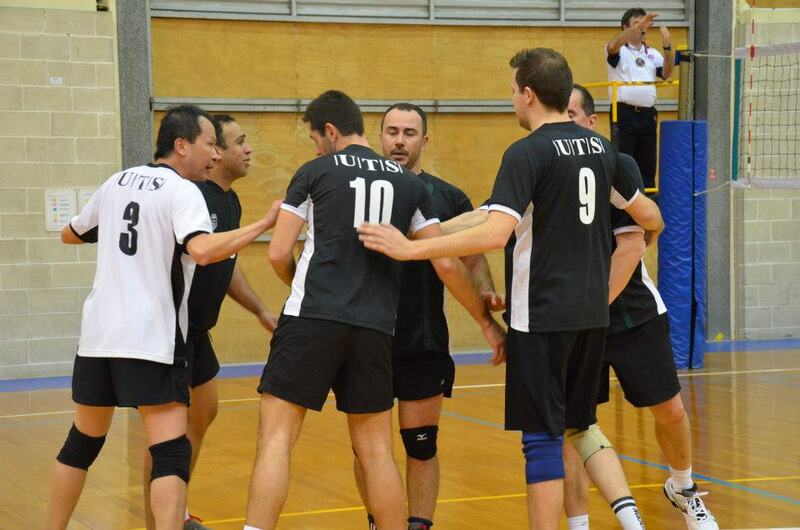 Following the first Board meeting of 2013, UTS volleyball club can now announce the open trial dates for players looking to play with UTS in the State Cup and Sydney Volleyball League competitions. Trial dates for women are Saturday 2nd March 2.30pm – 5pm and Tuesday 5th March 7-9.30pm. All Trials will be held at the Sydney Boys High gym on Cleveland St in Moore Park. Assistant coaches will be selected following trials and selections. Preseason training on the beach starts Tuesday early evening at Maroubra. See you there. The UTS AGM was held at Deb & Morky’s on Sunday 20th January. 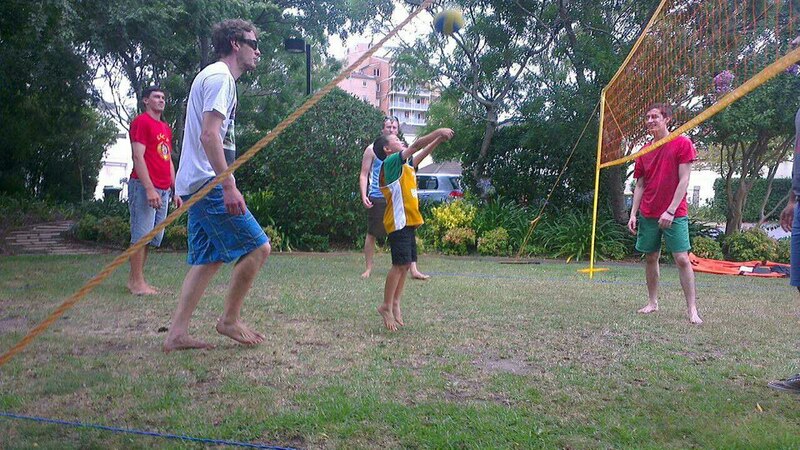 The Board was elected and some frighteningly social looking grass volleyball was played. Both the Events and Communications positions have subcommittees but if you want to get involved and help out then please get in touch. Tuesday 29th of January at Maroubra will be the first pre-season sand session. This will include some bonding over our different levels of fitness, followed by some beach volleyball. And likely some hydration afterwards. Trial dates as well as the Coaching workshop were discussed and will be confirmed soon. There were 7 coaching nominations received and these will also be discussed at the first meeting of new Board. The Events sub committee is straight to work and has set up an event for Australia Day on Saturday, January 26th. Be sure to RSVP to Clara. A new event in the Sydney volleyball calendar is the Steven Gerits Memorial Tournament run by the Manly Volleyball Club and Northern Beaches Volleyball Association. The Tournament honour Steven’s life and memory after his sudden passing in late 2011. The event is mixed beach 4-a-side to be played on Monday, January 28, 2013 (Australia Day Public Holiday) at Manly Beach. All proceeds from Team Entry Fees will be donated directly to the Heart Foundation. UTS encourage members and others to get involved by forming their own teams and entering. If you are having trouble finding other players for your team get in touch with Deb. Click here for the link to the Tournament website. The Annual General Meeting is on the 20th of January so look forward to seeing everyone there. If you are interested in coaching/assistant coaching for UTS in 2013 then you need to get hold of the Expression of Interest form from Secretary Joey and then complete and return it by 17th January. You are currently browsing the UTSVC blog archives for January, 2013.